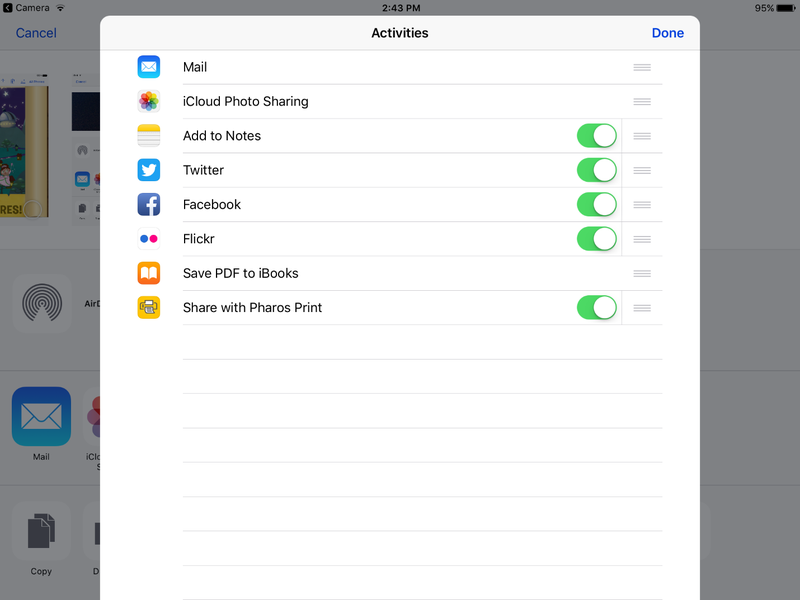 Download and install the Pharos Print App on your IOS device from the App Store. https://itunes.apple.com/us/app/pharos-print/id918145672?mt=8. 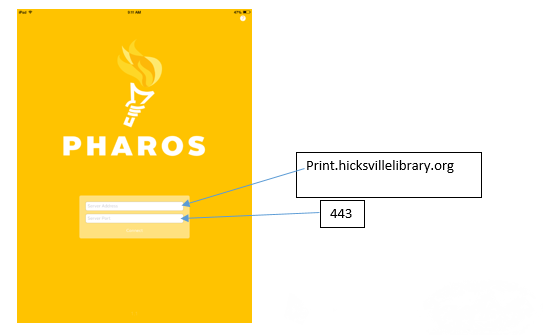 Once the app is installed, open it up and add the host as print.hicksvillelibrary.org and the server port as 443 (this only needs to be done once). 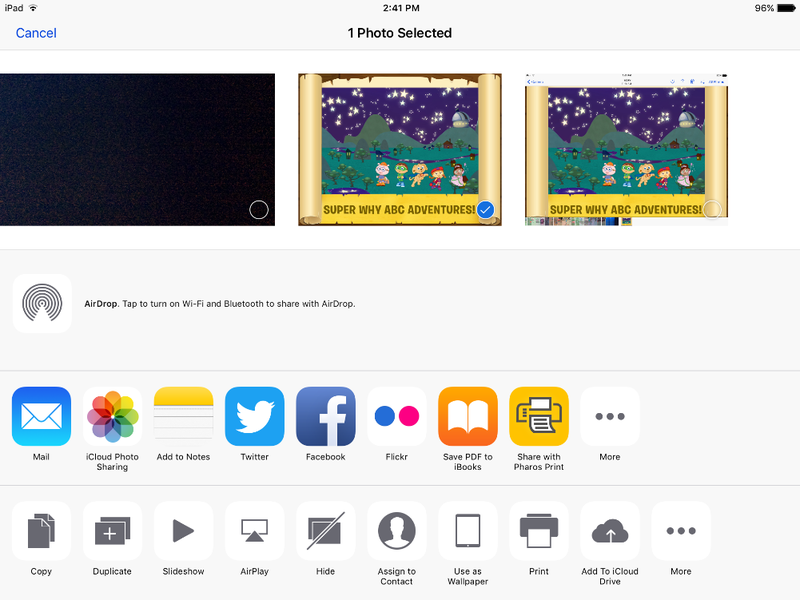 At this time exit the app, naviate to the image or document you would like to print on your device to upload it. If you have not done so already, Choose the upload Icon for the image or document you would like to print. That file is now ready to be released from our Print Center at the Hicksville Public Library at your convenience (it will be stored for the day and be purged if not released that day).